Accidents Happen – Are you Prepared? Renter’s insurance is insurance coverage designed specifically for renters. Phoenix Realty’s insurance or the homeowner’ insurance does not cover your personal belongings in the event of a disaster, no matter who is at fault. Prices vary, but some renter’s can obtain a policy for as little as $12 per month. Your premium will vary depending on the amount and coverages you choose. We highly recommend purchasing a policy that includes liability insurance in addition to personal property coverage. 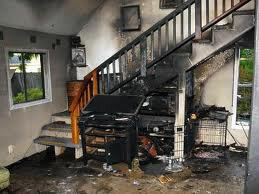 Liability insurance provides financial protection to you when you accidentally damage or destroy the property. For example, if you are at fault for a fire, then you are financially responsible for the structural damage to your rental home or any other property damaged by the fire. Unfortunately, accidents occur and liability due to resident negligence fall on the resident. Also, if a water heater busted or pipe burst flooding the property, making it inhabitable, renter’s insurance can cover hotel, meals, and utilities. One unfortunate accident can make you liable for thousands of dollars. What can happen if I’m not insured? If you cause damage to your rental home; including other residents’ possessions, you will have to pay for those damages out of pocket. If damage occurs to your possessions, you will have to pay out of pocket to replace your belongings. Phoenix Realty’s insurance or homeowner’s insurance does not cover your personal belongings in the event of a disaster. How can I obtain renter’s insurance? Obtaining renter’s insurance is easy! You can usually obtain renter’s insurance through the same company that provides your automobile insurance. The names of a few local companies that work closely with other Phoenix clients are listed below for your convenience. Phoenix Realty’s insurance or the homeowner’s insurance does not cover your personal belongings in the event of a disaster no matter who is at fault. Policies can cover a variety of events including fire, lightning strike, vandalism and theft, to name a few. Prices vary, but most renters can obtain a policy for as little as $12 a month. Your premium will vary depending on the amount and type of coverage you choose. Note: some plans do not include coverage for items damaged by water/flooding. This coverage must be purchased separately. In cases of fire, flood, hurricanes, tornadoes, roof leaks, sewer back ups, or even your neighbor’s washer or hot water tank flooding your place, the property management company is not responsible to reimburse you for your belongings or for your interim accommodations. If a disaster occurs in your rental home, for example, a fire or flood, and damages other properties, you are responsible for that damage as well. We require that tenants purchase a policy that includes liability insurance. Liability insurance provides financial protection to you when you accidentally damage or destroy the property. For example, if you are at fault for a fire, then you are financially responsible for the damage to your rental home and any other homes damaged by the fire. 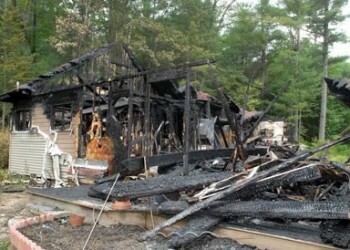 One unfortunate accident can make you liable for thousands of dollars. Never leave your stove or other appliance on and unattended. Use extra caution when cooking with grease. It should be removed from the heat immediately when you are finished cooking. If you have gas appliances, do not attempt to light the pilot light yourself. Call maintenance first. Follow instructions carefully on candles and other items with a flame. Call maintenance immediately if there is any sort of leak in your rental home. No smoking allowed in any of our properties. Before leaving your rental home, lock all windows and use deadbolt locks where provided.